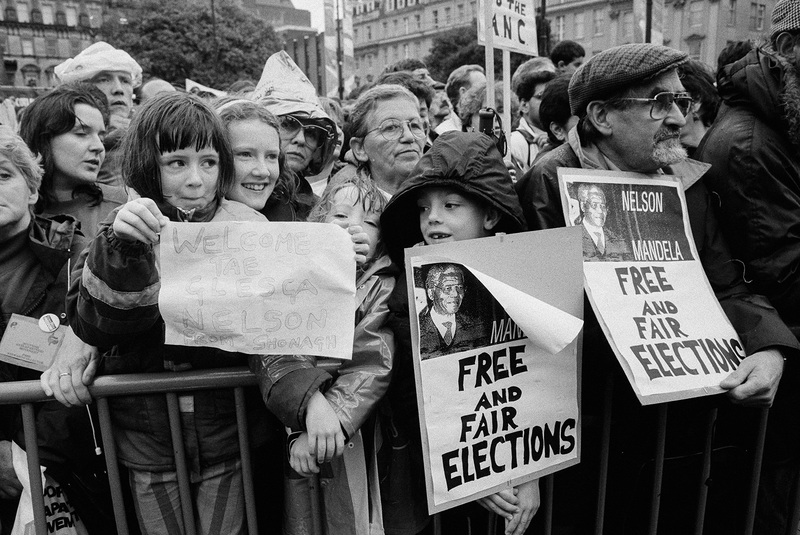 2018 marks 100 years since the birth of Nelson Mandela. 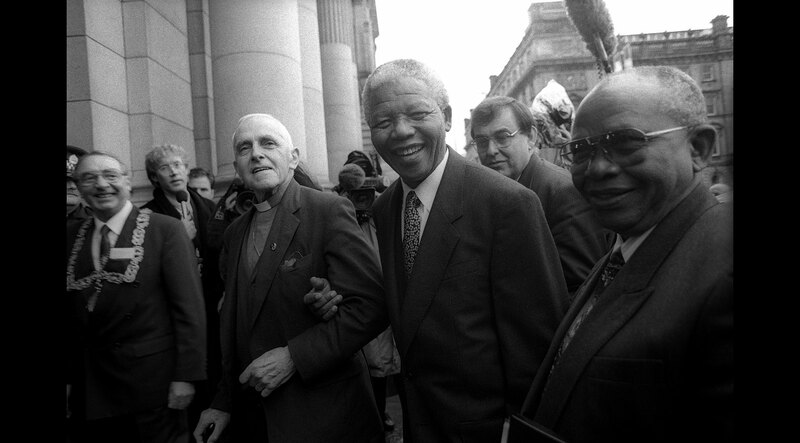 Known and loved around the world for his commitment to peace, negotiation and reconciliation, Nelson Rolihlahla Mandela was South Africa’s first democratically elected president (1994 to 1999). Mandela was an anti-apartheid revolutionary and political leader, as well as a philanthropist with an abiding love for children. In 1963 he was imprisoned by the Apartheid government of South Africa and was sentenced - with seven others - to life imprisonment in 1964. 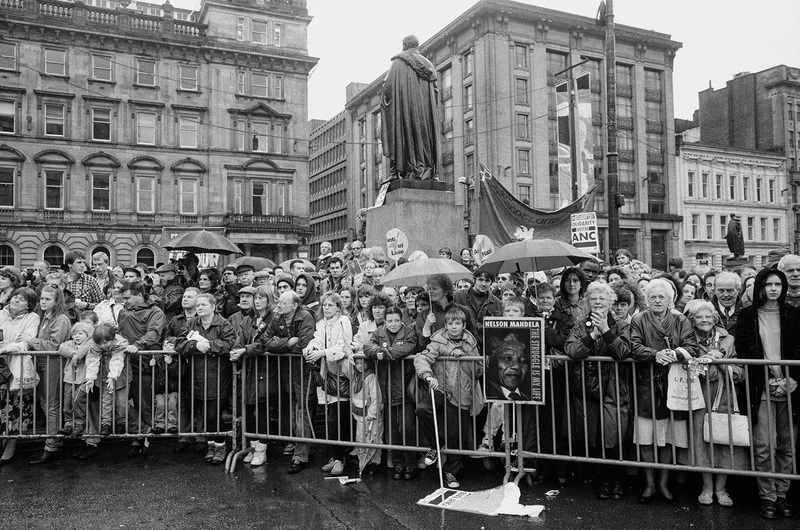 Glasgow was the first city in the world to honour Nelson Mandela with the Freedom of the City, in 1981, nine years before he was released from prison. 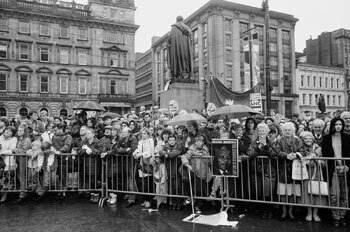 In a bold move to send a message to the then apartheid regime, the Glasgow City Council also renamed St George's Place as Nelson Mandela Place in 1986. This was seen as highly significant as this then became the address of the South African Consulate, which was based there. Award winning editorial photographer Jeremy Sutton-Hibbert was one of the photographers there that day, and this selection of 12 images are a record of that event. Previously published as a pocketbook by Cafe Royal Books, this is the first time any of these images have been seen in Glasgow. 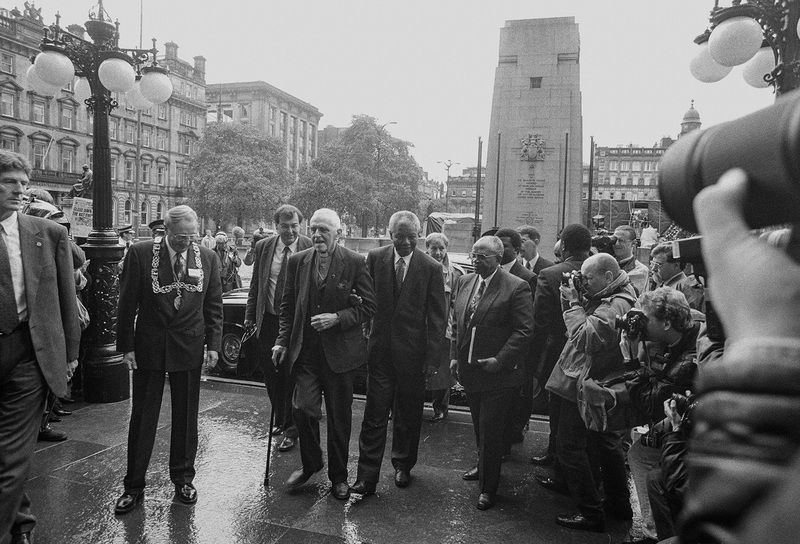 “…It is a privilege to be a guest of this great City of Glasgow. 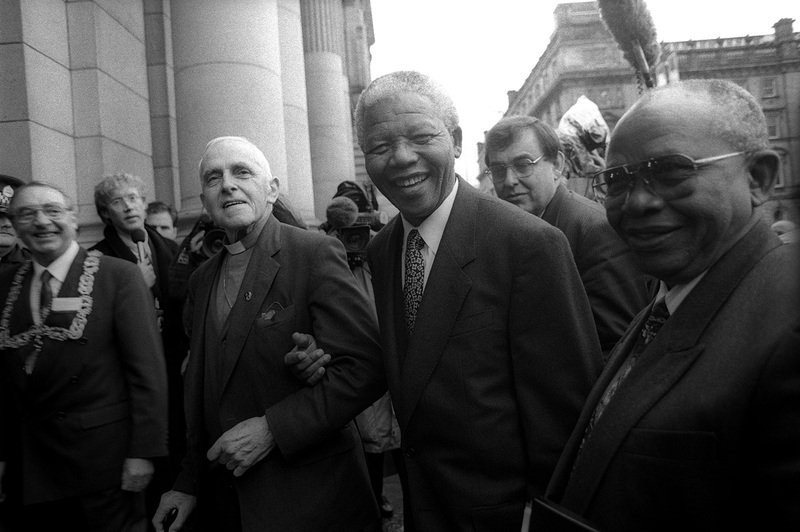 It will always enjoy a distinguished place in the records of the international campaign against apartheid. - From Nelson Mandela’s speech, 9th October 1993.